Hunters call themselves conservationists. To conserve means to preserve -- not destroy. And making matters worse, hunters go against natural selection by killing the biggest and the strongest animals, thus weakening the overall population. Is this conservation? I don't think so. Wanton cruelty to animals is offensive to compassionate people all around the world. 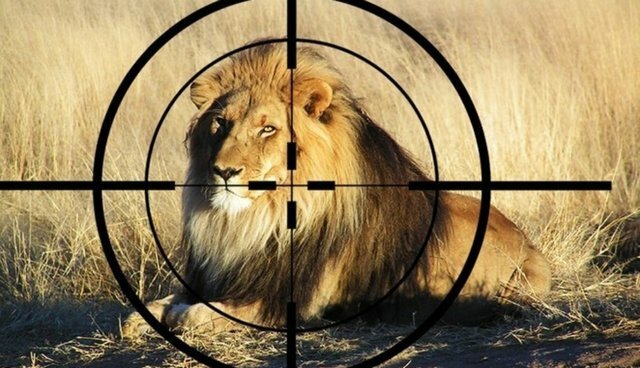 The trophy hunting industry's whole business model consists of an endless cycle of routine abuse of helpless animals. Cubs are ripped away from their mothers at birth. They are then exploitively used as an attraction to thousands of tourists who pet and have their photograph taken with them. When the lions are too old for that, they eventually are hunted by tourists and suffer an early and violent death. This is not farming or hunting. This is a sick business which must be stopped. "I like to think that most people have good hearts. We desperately need for these people to stop looking the other way, to unblock their minds to the screams of the animals. The animals cannot vote for a system that is fair to them. They are relying completely and utterly on the compassion and integrity of the human species. If people would still their minds for a second, close their eyes, shut out the deliberate stimulation of the over-consumption culture we have engineered... and imagine the world through the consciousness of the animals... bred to be shot for fun, eaten, worn, for entertainment. Living in pain and misery then dying an agonizing death. Using the internet, Christine linked up with like-minded animal lovers, first in South Africa and then worldwide. Her idea evolved into a plan of action, and from this tiny beginning the Global March for Lions was born. It has grown into a worldwide phenomenon, appropriately titled ROAR FOR A CAUSE. Find out if there is a march planned for your city. If so, please join. If not, you can support the Global March for Lions by taking the following actions.